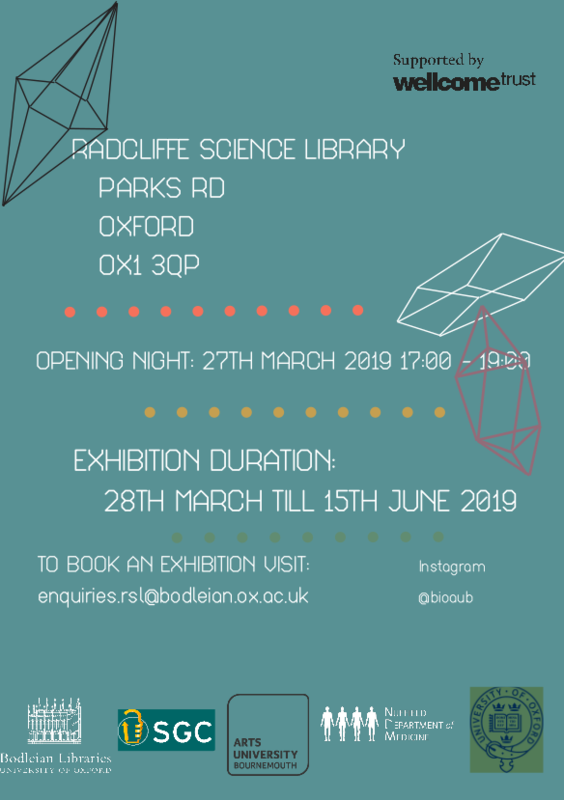 The Biomachine is a collaboration between second year Fine Arts students at Arts University Bournemouth and the Oxford Structural Genomics Consortium. 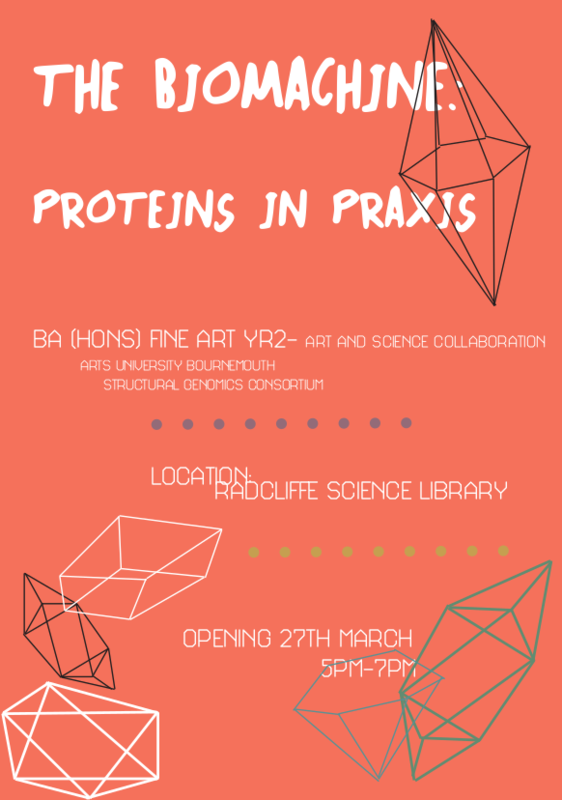 The launch event will take place at the RSL on Wednesday 27 March 2019 – details are at https://aub.ac.uk/news-category/fine-art-category/biomachine-proteins-praxis/. The exhibition will continue until Saturday 15 June 2019. More information can be found at www.thesgc.org/event/biomachine-proteins-praxis. 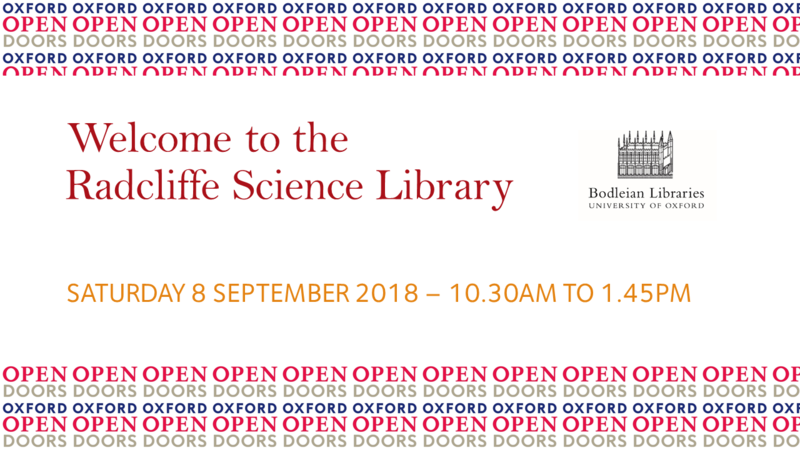 If you would like to view the exhibition and do not hold a University card, registration is required – please contact enquiries.rsl@bodleian.ox.ac.uk. 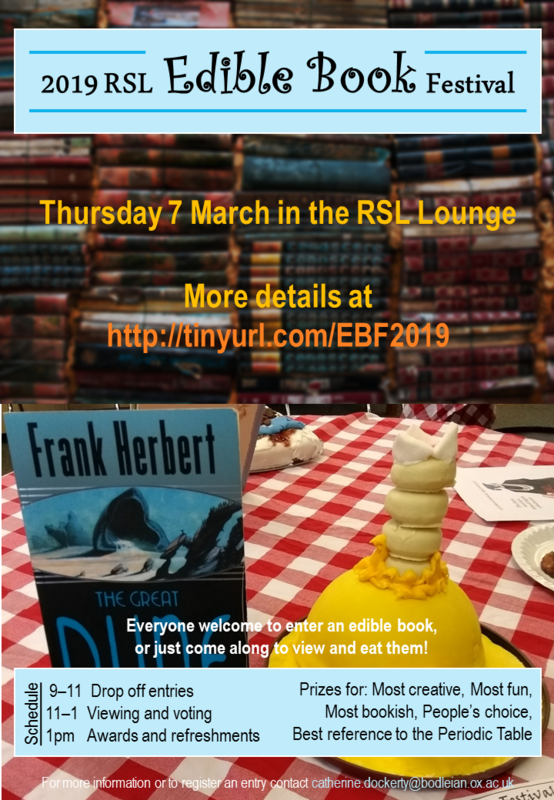 On Thursday 7 March the Radcliffe Science Library will be holding our 4th Annual Edible Book Festival to mark World Book Day! 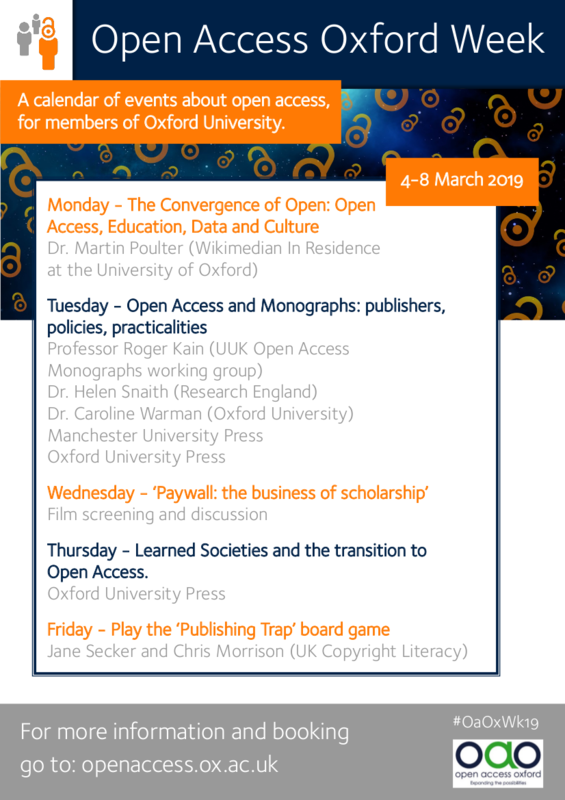 This event is free and open to any member of University – students, staff (including Bodleian Libraries staff) – and external readers. 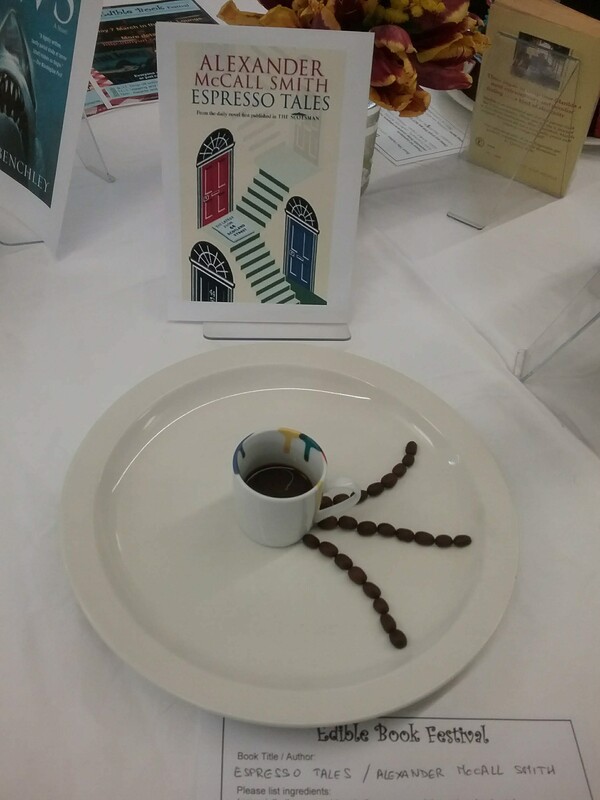 Everyone is invited to enter their book-themed culinary creations by bringing them to the RSL Entrance Hall Lounge between 9am and 11am on Thursday 7 March. 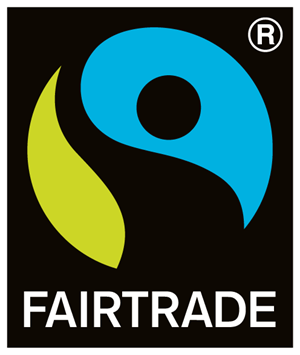 *This is a new category for this year to mark the 150th anniversary of the Periodic Table of Chemical Elements. 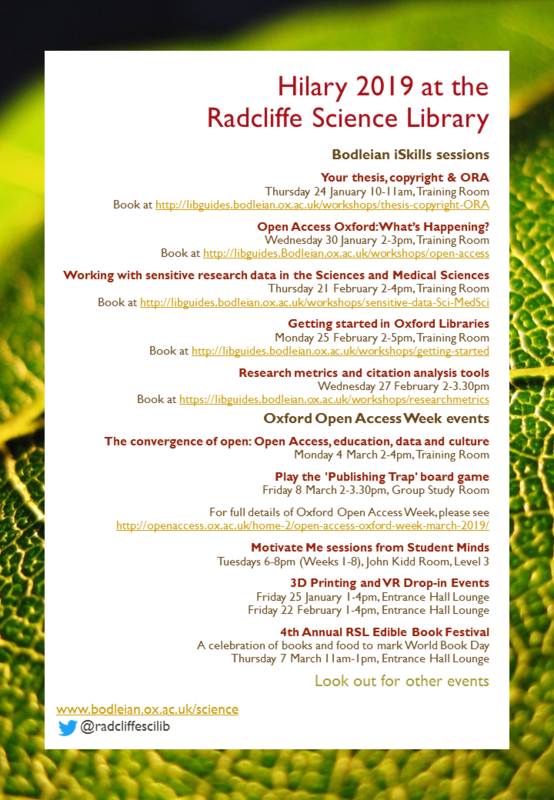 Take a look at last year’s entries at http://blogs.bodleian.ox.ac.uk/science/2018/03/01/edible-book-festival-2018-the-entries/ or simply Google ‘edible book festival’ and you will find dozens of fantastic examples. 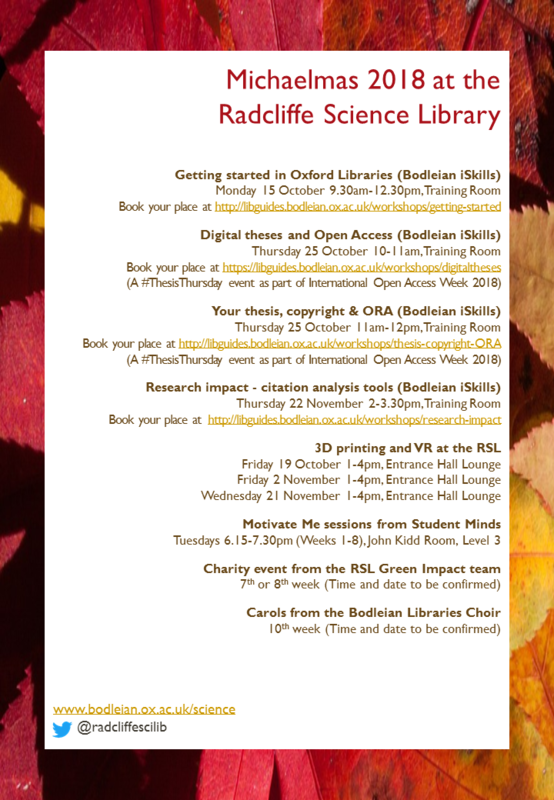 For more information or to register an entry contact catherine.dockerty@bodleian.ox.ac.uk . More details can be found on the entry form.